Wayuu Leather shoulder bag. Unique piece handmade in Colombia! 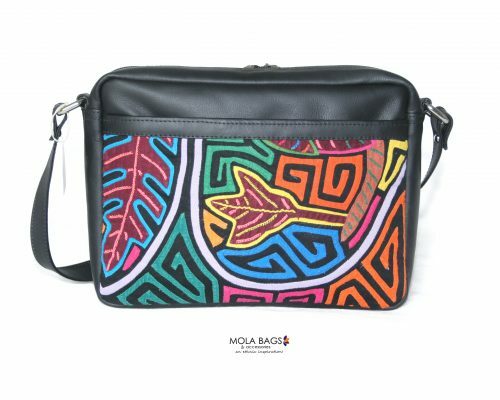 Beautiful shoulder textile bag handmade by the Wayuu Indigenous Community from Colombia and combined with leather application made by our artisan family in Bogotá. ONE exemplar available! Beautiful shoulder textile bag handmade by the Wayuu Indigenous Community from Colombia combined with leather. 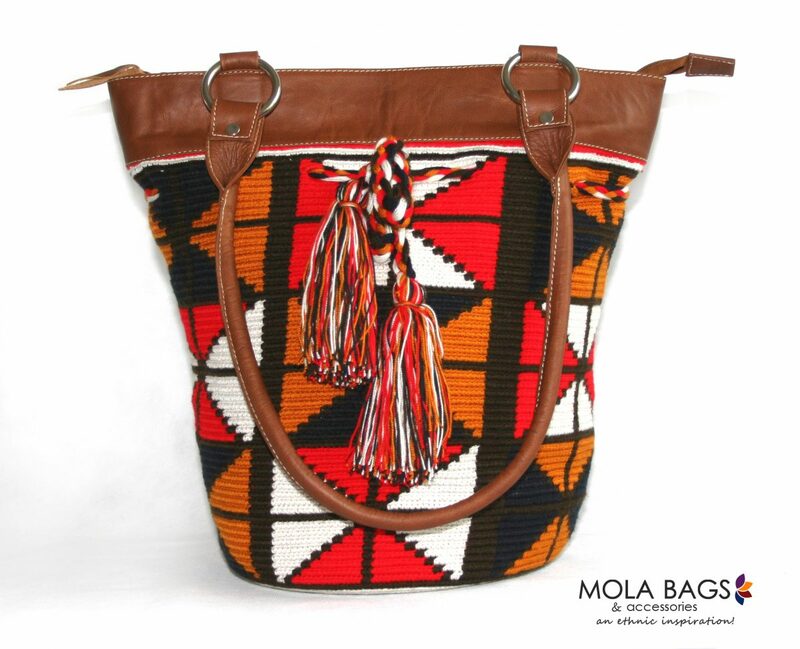 This unique bag represents the amazing work from the Wayuu Indigenous Women who delicately crochet this one of a kind bags. 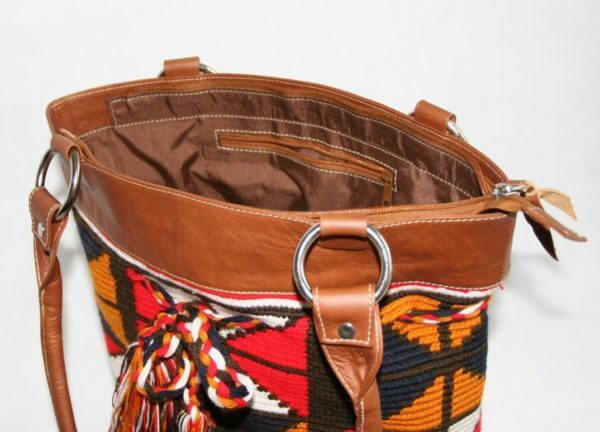 The Wayuu Textiles combined with leather makes this cylindrical bag a unique piece! It features a large main compartment through a zipper and small practical inner pockets. 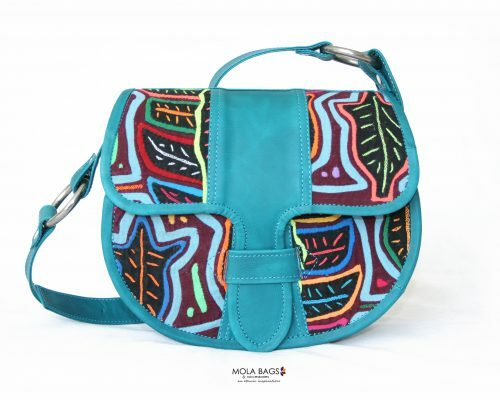 The leather application is made by our artisan family in Bogotá, Colombia. A perfect bag for elegant and informal occasions. Everyone will be enchanted with the colors and shapes! Dimensions: Lenght:34cms. Height:35cms. Width:34cms. Diameter base:20cms. Materials used: Cotton yarn, High-Quality cowhide leather, Inside Lining from Polyester. 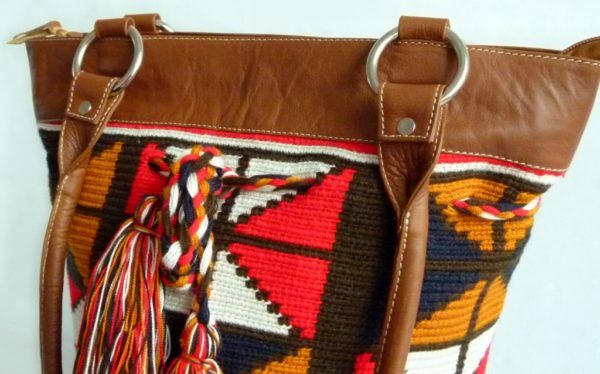 Process: The main body of the bag is hand-crochet. 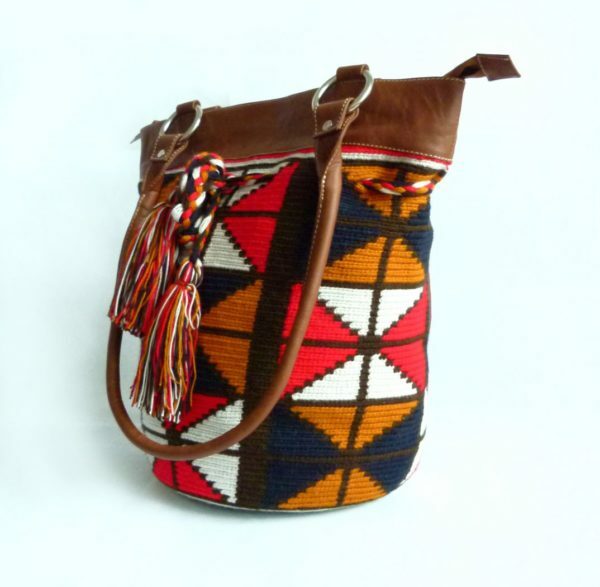 It can take until 4 weeks to make this kind of bags! The Wayuu Indigenous Community belongs to the biggest Indigenous Community in Colombia. They live between the Guajira Peninsula and Venezuela. The main creators of this one of a kind bags are the women from the Wayuu Community, taking into account that this unique arts and crafts represent the Colombian culture and tradition and are nowadays one of their most important source of income. 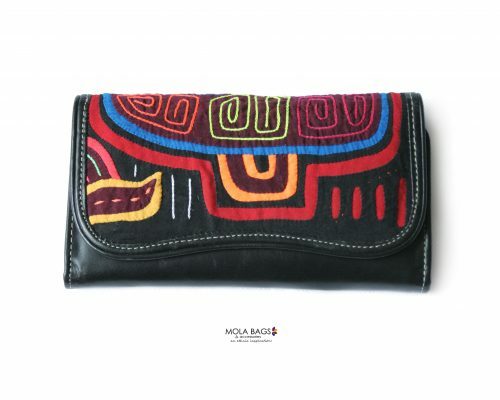 The leather application is manufactured in Bogotá, Colombia with Colombian leather by a small family enterprise. 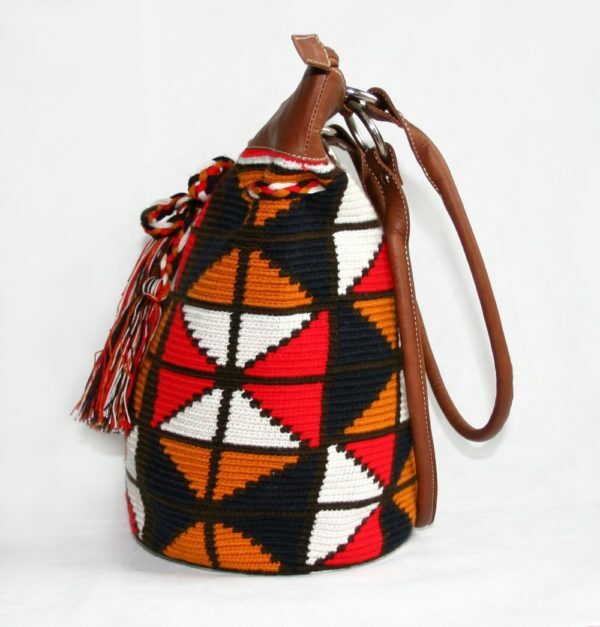 The Wayuu crocheted bag is bought directly from the Wayuu Women Community and fair traded. 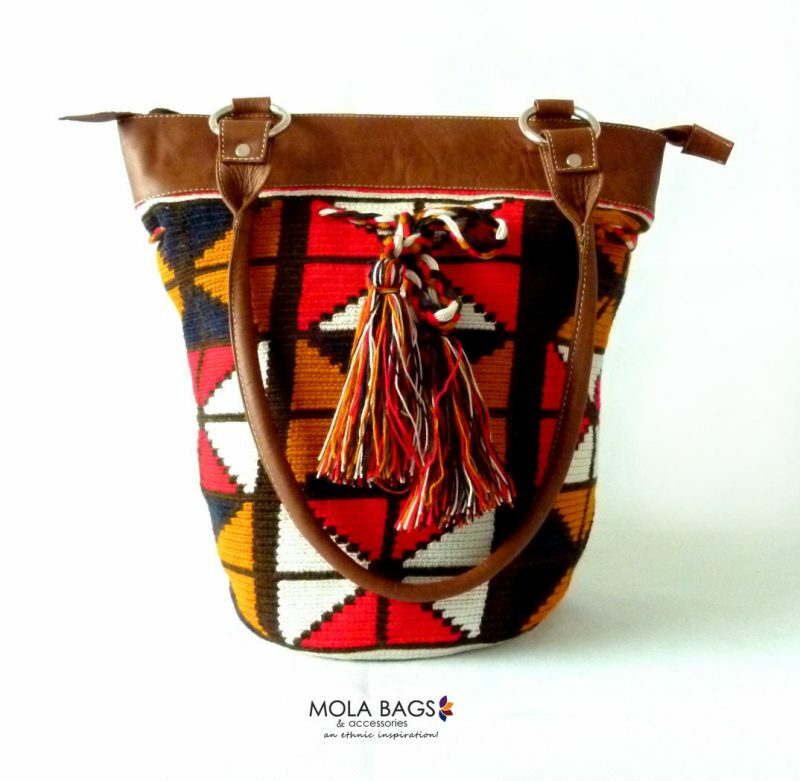 Every bag and article represents an integral work between the Wayuu Community and our Colombian artisans who maintain alive our history, culture, and tradition play an important role in Colombian’s economy. 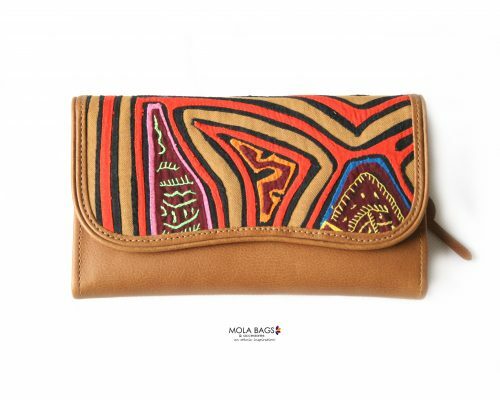 When you purchase one of our products, you support and promote our Indigenous Communities and the small Colombian enterprises of arts and crafts.